The global phenomenon, Hurtgenlea Richard Charl, started recently to have calves on European soil and these calves are following their fathers transmitting pattern, hitting them high in the top charts! His son DG Paul is the highest GTPI bull ever born in Europe following the December ’18 index: GTPI +2935, a bull with a tremendous index sheet going back on Larcrest Crimson EX-94-USA EX-96-MS! The 2nd highest Net Merit bull ever in Europe is called GEN Christian, born out of the Genesland program. 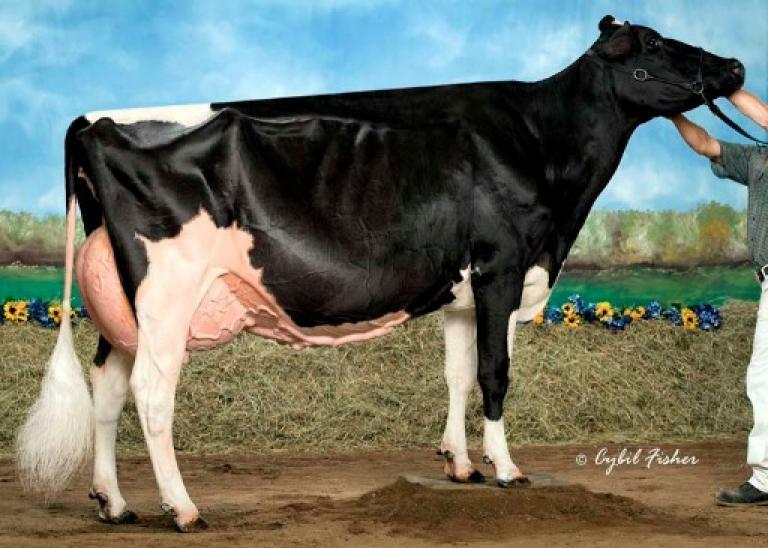 Christian has a Net Merit of $ 1042 and is going back on another breeding phenomenon: Rainyridge Talent Barbara EX-95-USA (All-American & All-Canadian 5yr. Old).